Blackham Resources (ASX:BLK) says the latest assay results from Golden Age demonstrate that previous modelling done on the gold project “appears to be conservative”. The ASX-listed gold company told the market today that the latest high grade assay results showed the system at Golden Age Reef was open. * 2.2m @ 18.9 g/t including 0.8m @ 42.1 g/t. A previous assay result had even brought up a bonanza grade of 5.1m @ 198g/t. 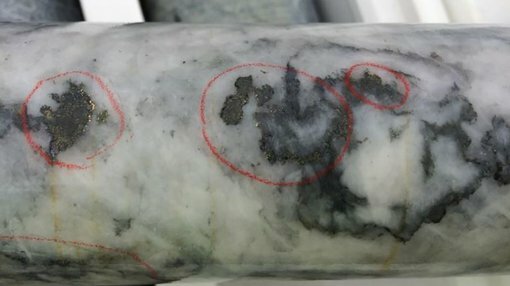 The latest set of assays complete the maiden drilling program at Golden Reef, which is part of its overall Matilda Gold Project. BLK Managing director Bryan Dixon said the latest set of results demonstrated BLK now has more gold on its hands than it previously thought. He said the higher grade Golden Age ore will be blended with Matilda open pit ore to increase the head-grade of the mill feed. 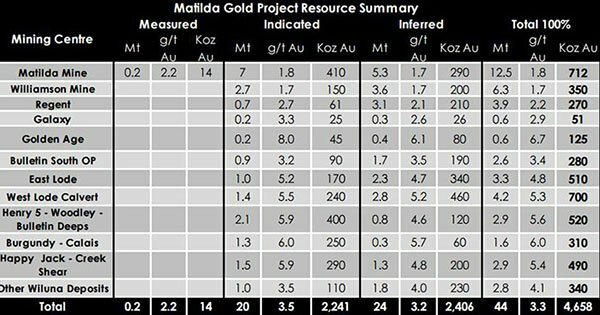 The Matilda Gold Project, near Wiluna in WA, has total resources of 44 million tonnes @ 3.3g/t for 4.7 million ounces of gold. Measured and indicated resources now total 20Mt @ 2.3 million ounces for 2.3Moz, accounting for 48% of the total resource. Gold mined at the main Matilda open pit will be taken to the 100% owned Wiluna gold plant, which is capable of 1.3 million tonnes of processing per year, or over 100,000 ounces of gold per year. BLK shares are currently 3.1% up at 16.5c in early trading.